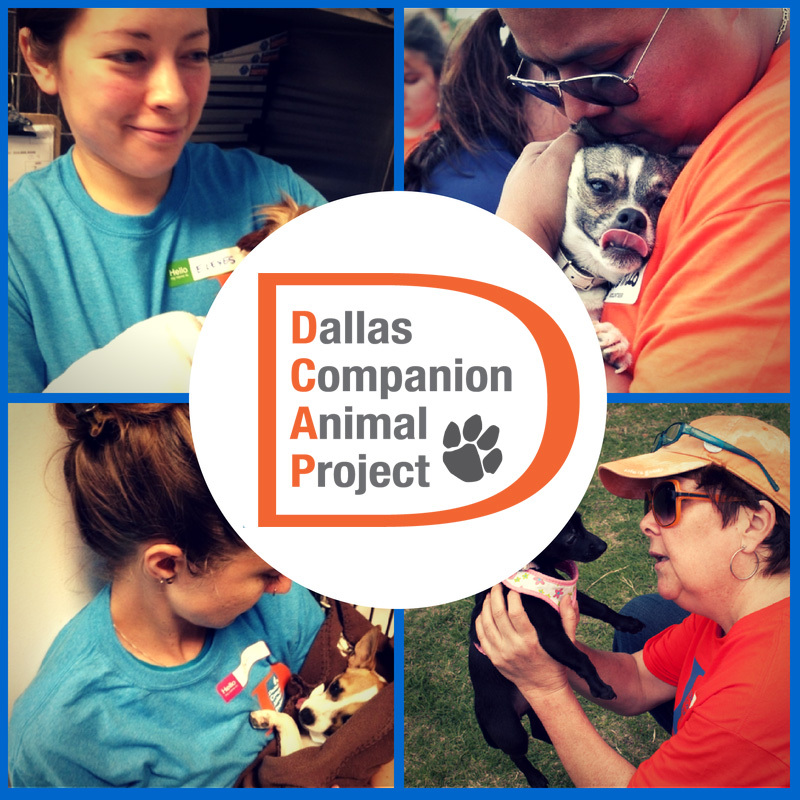 Dallas Companion Animal Project is a non-profit organization created to focus on the future of the community by strengthening the connection between people and animals. Our Mission: Strengthening bonds between people and animals. Our Vision: A community that values and supports quality of life between people and animals. Our Pets for Life program addresses inequity and the lack of access to pet resources people experience in under-served communities through community outreach and pet owner support services in our focus area of the 75210, 75215, and 75216 zip codes. We recognize that a deep connection with pets transcends socio-economic boundaries, and no one should be denied the opportunity to experience the benefits and joy that come from the human-animal bond. CLICK HERE to learn more about this vital program! 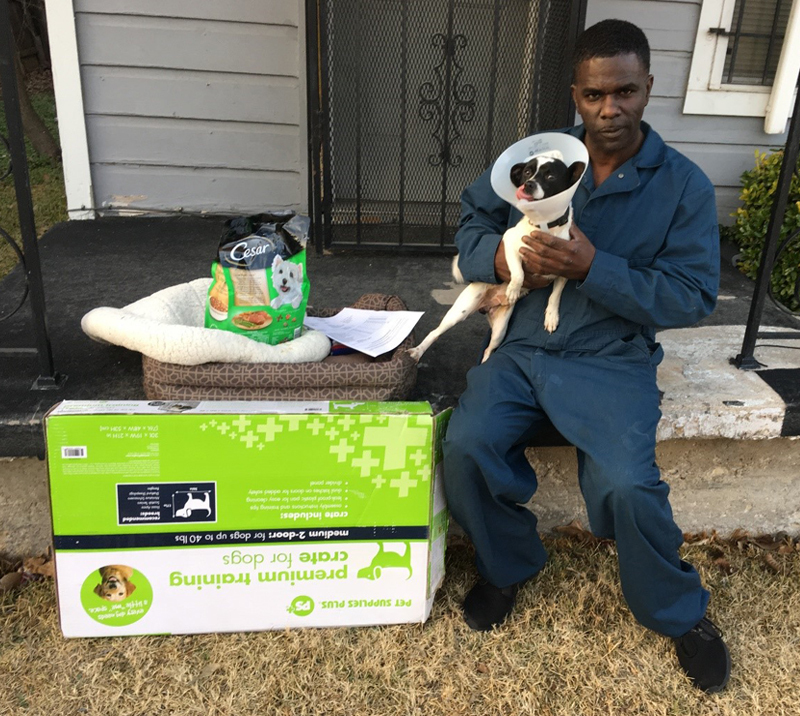 DCAPS’s Pets for Life outreach team met Quinton and Dax during door-to-door community outreach in South Dallas. Like so many people in under-served communities who are natural rescuers, Quinton chose to make Dax a part of his family when a friend was no longer able to keep him. He really wanted to bring this adorable pup inside but was worried because he had fleas and wasn’t vaccinated. Dax is doing great after his free neuter surgery and is set up for a long, happy life indoors with his new dad! DCAP is providing access to free resources that wouldn’t otherwise exist in under-served communities of Dallas. Thousands of people and pets have received life-saving and life-changing services from DCAP’s Pets for Life program. Please CLICK HERE to support DCAP’s important community based work. In addition to saving lives, reducing euthanasia rates community-wide will engage the community in the welfare of our animals, make Dallas a pet-friendly place to live, save taxpayer dollars, result in a more educated and informed public, encourage private/public partnerships, and improve the quality of life for pets and people in the City of Dallas.